For Better - Or What? : Dumping the Landline? 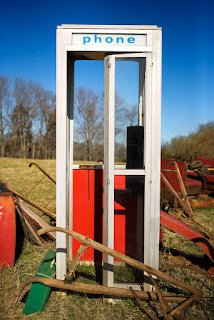 A recent report indicates that nearly half of American households have ditched their landlines, preferring to have wireless phone service only. The younger people are, the more likely they are to prefer cell-only, but people of all ages are making the switch. Even my mother, now in her eighties, gave up her landline service a few weeks ago. Experts predict the death of the landline any minute now. However, this morning I realized that I can't give up my landline because it serves one very important function in my life. When I can't find my cell phone, I use the landline to call it so that I can locate the cell phone by following the ring.